This gorgeous Kansas Troubles Christmas quilt from Hamels Quilt Shop. I told Jim that this is the only thing I absolutely MUST have for Christmas. 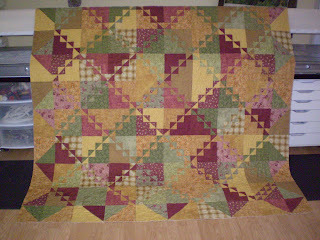 I love the colors, the pattern, all of it. Just fabulous!! How cute are these snowflakes?? 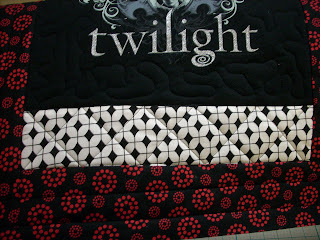 I'll admit when I first started working on the quilt, I wasn't too happy with it. 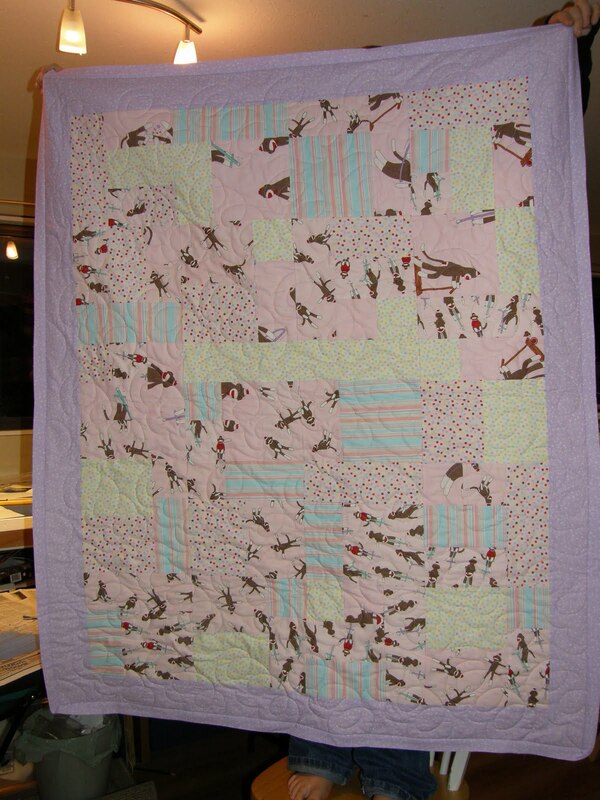 But now that it is together, it has quickly grown on me. 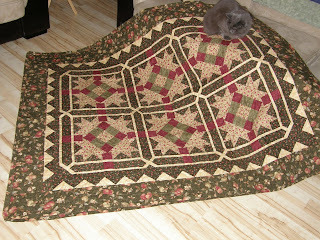 You can see some of my other posts on my mystery quilt here. 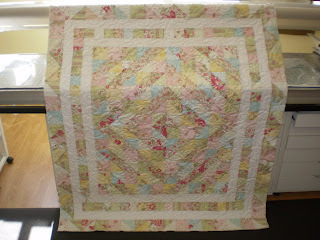 I quilted it with a Genziana Cotton Thread and one of my favorite patterns Bright & Breezy. STAND 16 wafers around inside edge of 9-inch round pan lined with plastic wrap. Melt 3 chocolate squares as directed on package. BEAT pudding mixes and 2 cups milk in medium bowl with whisk 2 min. Add melted chocolate; mix well. Stir in 1 cup Cool Whip; pour into prepared pan. BEAT cream cheese, sugar and remaining milk with mixer until well blended. Stir in 1 cup of the remaining Cool Whip; spread over pudding layer in pan. 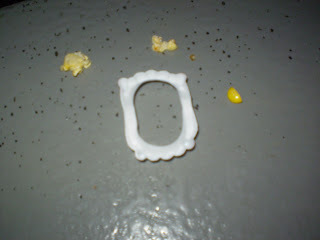 Top with remaining wafers. Refrigerate 3 hours. INVERT torte onto plate. Remove pan and plastic wrap. Shave remaining chocolate square into curls. 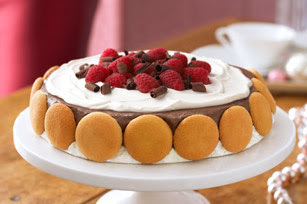 Top torte with remaining Cool Whip, berries and chocolate curls. Warm chocolate square by microwaving it, unwrapped, on HIGH for a few seconds or just until you can smudge the chocolate with your thumb. Hold the square steadily and draw a vegetable peeler slowly over flat bottom of square, allowing a thin layer of chocolate to curl as it is peeled off the bottom of the square to make long, delicate curls. Or to make shorter curls, use the same technique using the narrow side of the chocolate square. 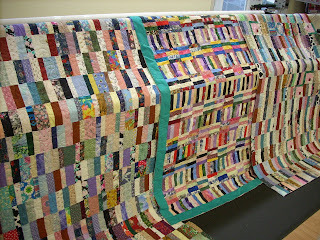 Fran took advantage of our quilting sale in September and brought in 5 scrappy quilts to have finished. Fran uses every little piece that she can so as little as possible is wasted. 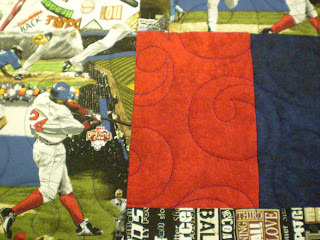 I got this stack of fat quarters from Hamels Quilt Shop about 2 years ago. I've tried numerous times to get new mom's excited about sock monkeys too but they didn't go for it. 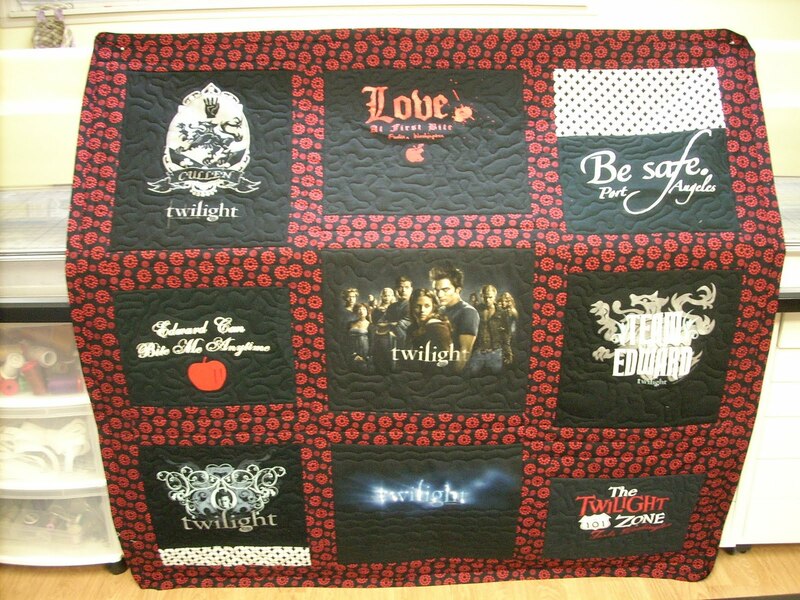 Than I figured, if you want a quilt, this is what you get lol! 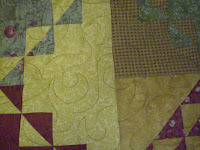 Pattern is Yellow Brick Road. I love how quick it goes together. 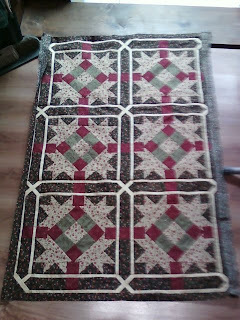 Originally there was no border and I couldn't find any fabric to go with the quilt. I was going to just leave it as is but than I was putting some fabric away in my stash and I found this purple swirl fabric that was perfect. I love how it tones down the plethora of pink! I had a piece of lilac minkee and I used that for the backing; perfect! 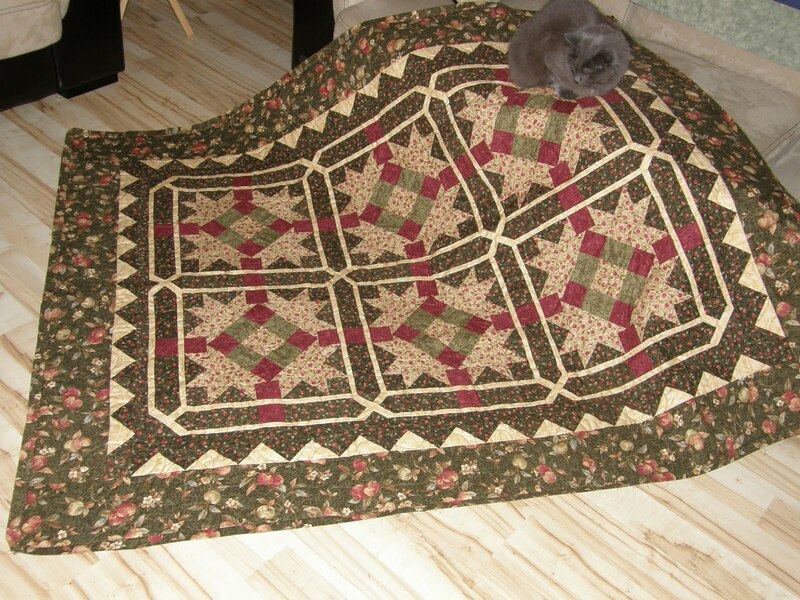 Deb took advantage of our fall quilting sale and brought in these two quilts. 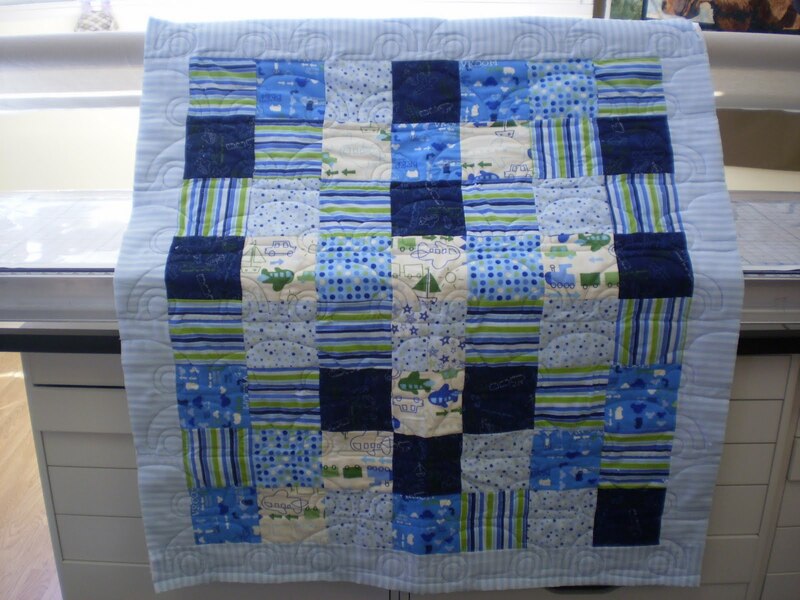 I LOVE this baby quilt. 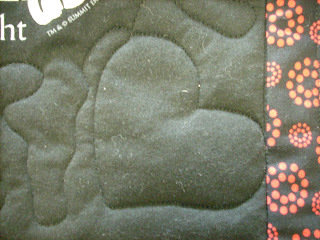 I am so sad I didn't take a picture of the back; Deb used this beautiful terry fabric. 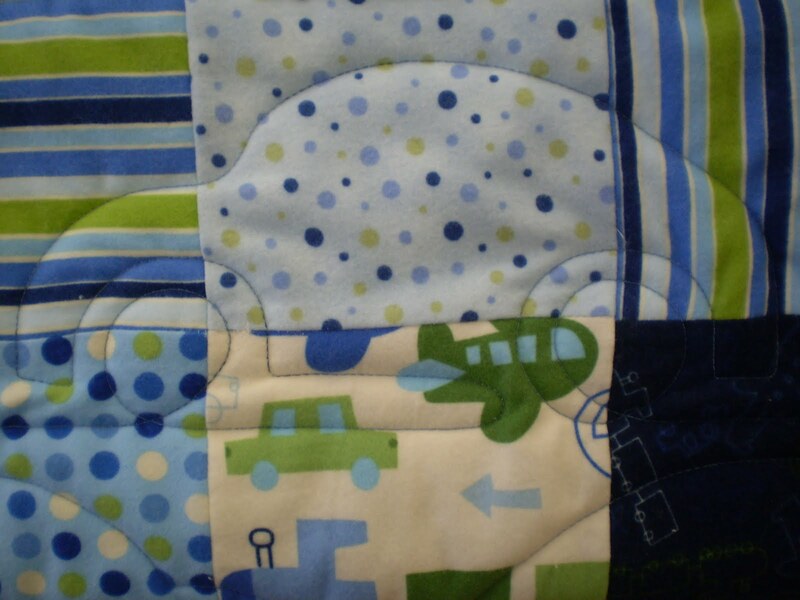 She chose the pattern Volkswagon. 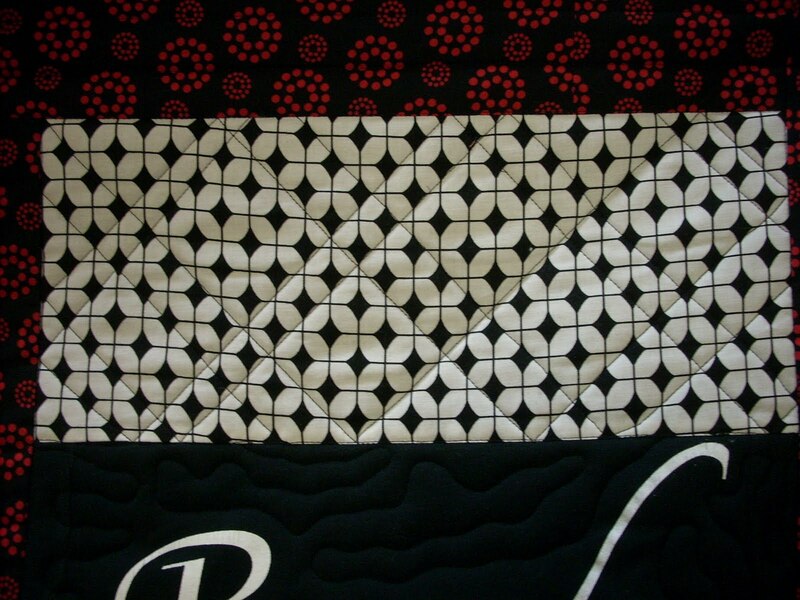 Such a cute pattern. And she got one done for herself. This post? Well, *the wall* hasn't been touched since. I realized Friday that we were going to have Christmas here with this ugly ugly wall. And that would not do!!! Jim and I decided that the easiest fix for the wall was to fill the panel edges, sand and paint. 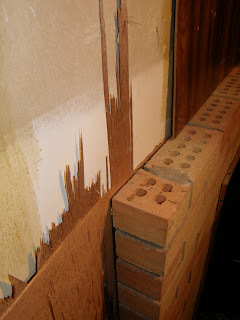 We had thought of just drywalling right over the wood but too much dust with all that sanding. 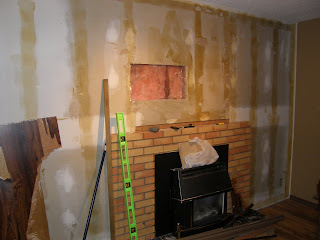 Imagine our surprise on Saturday when Jim was getting ready to start sanding when he discovered drywall under the wood. Really?? Out came the tools and off came the wood. 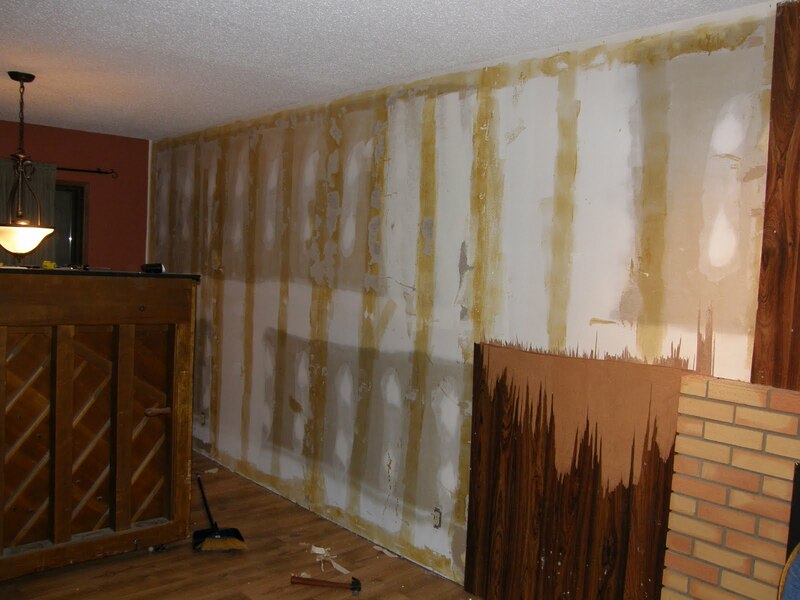 Happily, the drywall is in pretty good condition. We have some work to do with fixing it before we can paint. Hopefully that won't take too long. The kids are begging every day if we can start putting up decorations lol. It confirmed our thoughts that the gas fireplace was a recent edition. Especially when we discovered that the wood paneling continues behind the brick! Abandoned for the sake of a movie lol. But the excitement as worn down(almost. 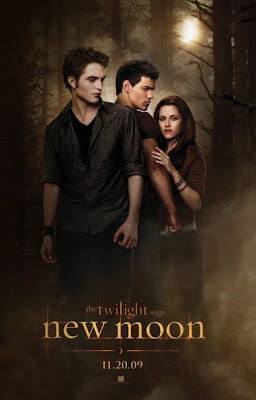 I've seen it twice in 24hours) so must get back to the swing of things. 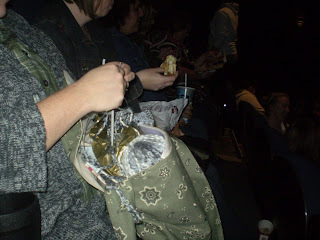 I'm not going to bore you with all my movie premier pictues. 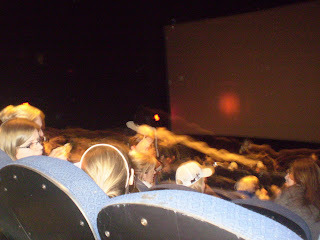 And truth be told, it was so dark in the theater(we got to sit in the dark for 3 hours before the movie started lol. Better than standing outside and waiting though! 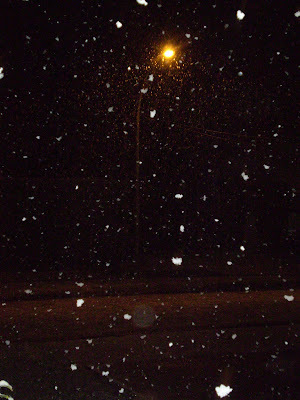 ), that the pictures aren't very good. But there are a few to share. When even watching the commercials for New Moon got me teary, I figured I could be in for a sobfest. So I decorated a kleenex box to bring with me. And than I didn't even use it. I did have my Twilight quilt which I got a few comments on. I also brought some vampire teeth. And than I promptly dropped them on the floor *sob* Would have liked to have seen the theater cleaners face when they found those lol!! The theater was packed. We were in one of 3 theaters at this complex showing the movie. Ohhhh, funky picture taking. Than the movie started. And life was perfect. 1. In a bowl, beat butter and brown sugar together until well blended. Beat in egg. 2. In a separate bowl, whisk flour, baking soda and salt together. 3. Add dry ingredients to wet and mix until well combined. 4. Divide dough in half. Add the vanilla to one half and mix in. Combine cocoa and melted chocolate together, then add to second half, with peppermint. Stir until well combined. If the dough is sticky, chill for 15 minutes until prior to rolling. 5. 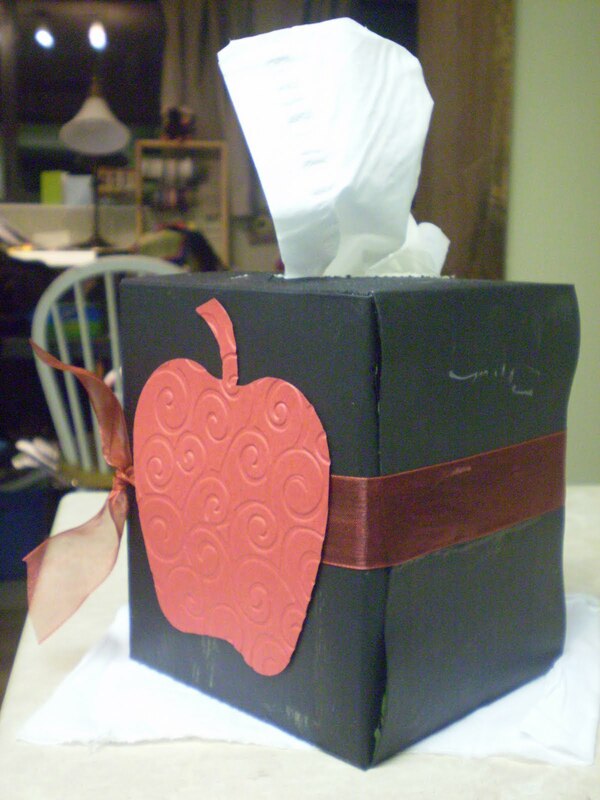 Transfer the chocolate dough to a large piece of parchment paper on a flat work surface. Cover the dough with a second piece of parchment. 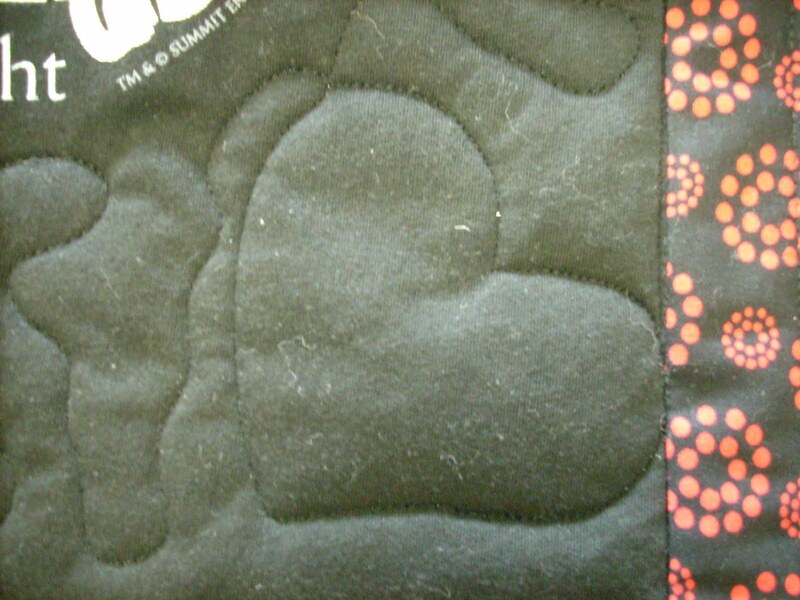 Roll out the dough into a rectangle 8 ½" x 11" in size. Repeat with vanilla dough. 6. Remove top pieces of parchment; invert the vanilla dough onto chocolate dough. Remove remaining parchment paper from vanilla dough. Trim edges of dough to line up together. 7. Tightly roll up dough from long side, peeling off bottom parchment as you go. When finished, wrap in parchment paper and chill at least two hours or up to 3 days. Logs can also be double wrapped in a layer of plastic and frozen for 1 month. 8. When ready to bake, preheat oven to 375°F. 9. 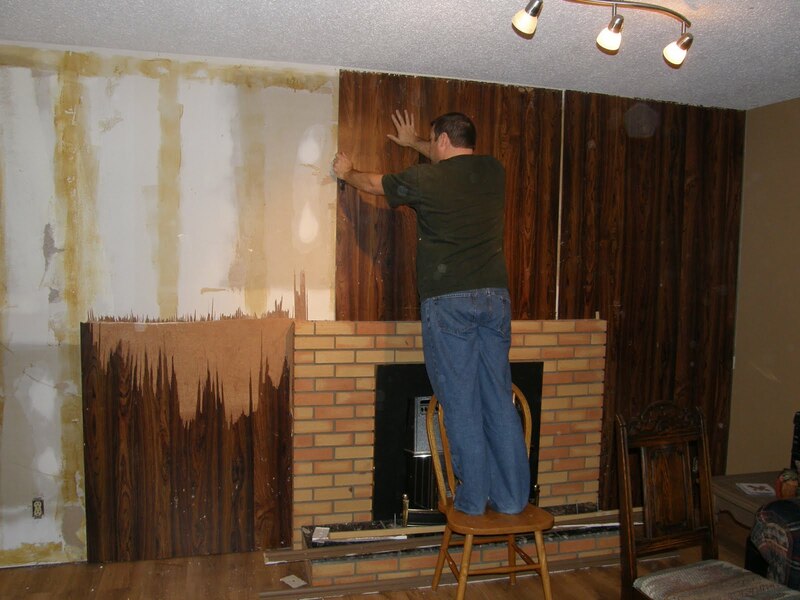 Remove log from refrigerator, unwrap and slice into quarter-inch thick pieces. 10. Bake for 10 to 12 minutes or until firm to the touch. 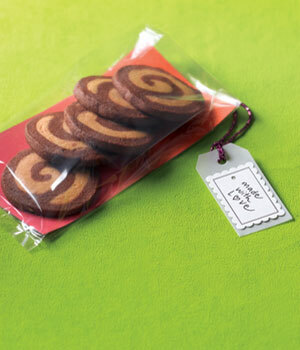 Let cool slightly on pan then roll the edges of each cookie in the crushed candy canes, if desired. My plans? I wanted to finish my book, do a bit of cleaning and than some playtime. 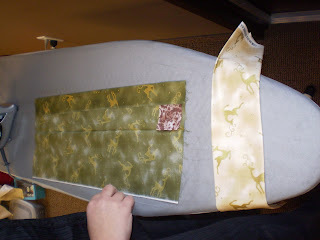 I had binding to be attached. I'll show you tomorrow what I accomplished. 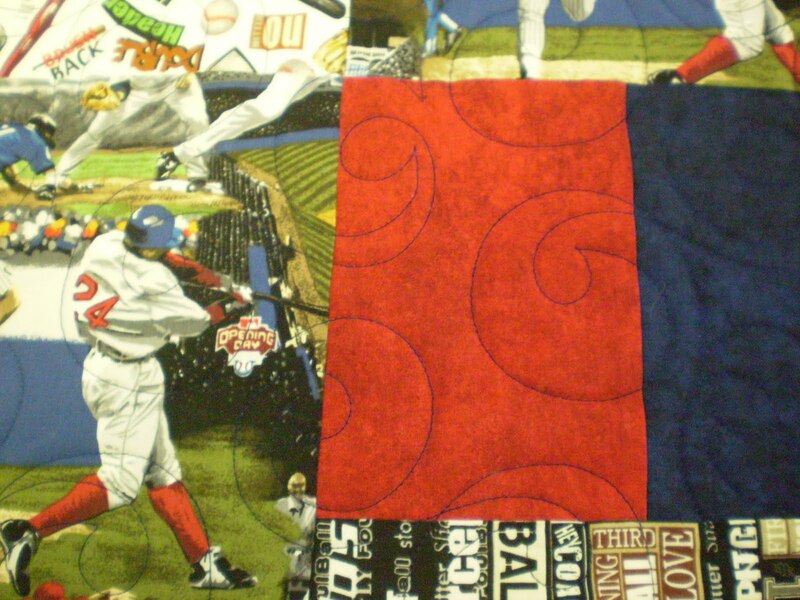 This is for Hamels Quilt Store. The colors are so bright and vibrant. 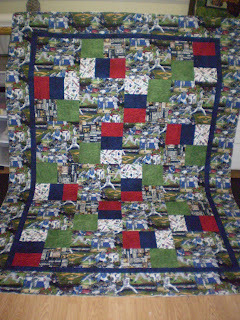 The kit finishes off with a snuggly flannel on the back. I ditched each block than meandered/stippled in them. 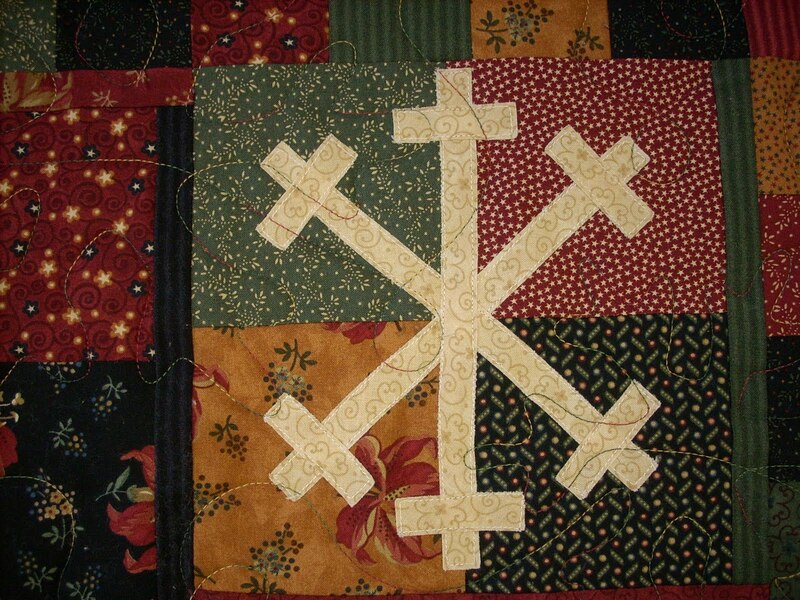 The two white filler blocks are my favorites. Had some fun with a ruler. The tshirts are all brand new so they are a crisp black, not the grey/black you see in the picture. 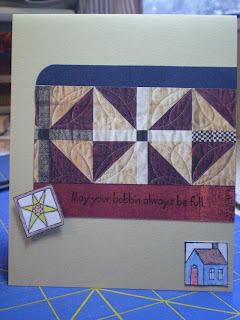 I quilted some straight lines into the borders/sashings. 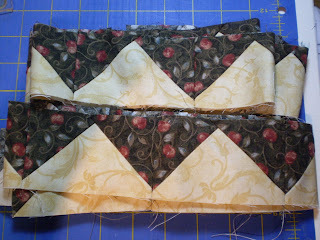 Now to get the binding finished and drag it off to the movies on Thursday! 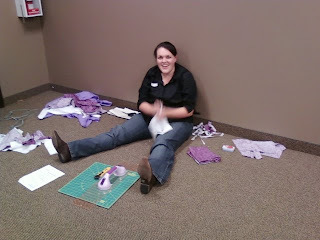 Today was the sewing/craft day at Cindy's church. 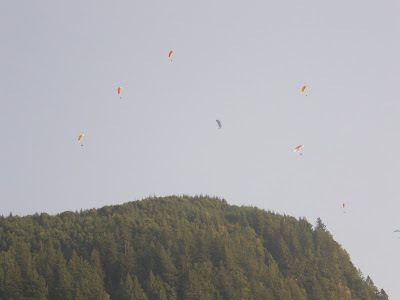 We all staked out our area's and away we went. 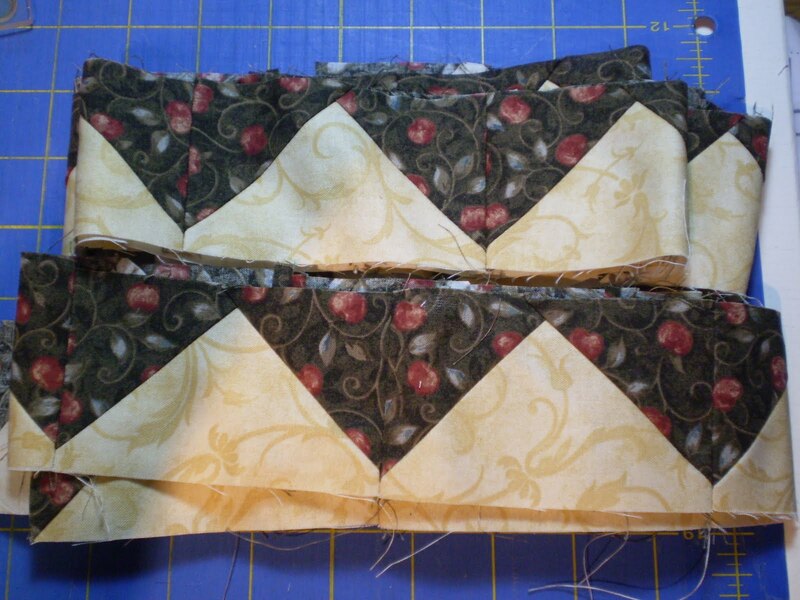 Marcia was working on messenger bags for her daughters. 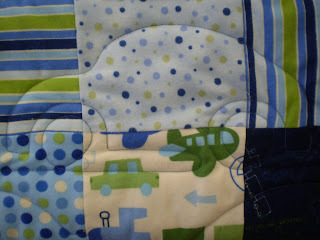 She used Stampin Up's Big Shot to cut out the appliqué pieces. 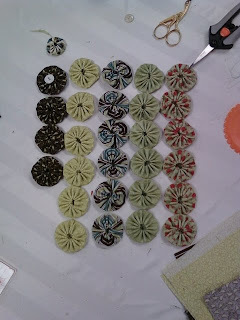 Sarah had a few projects on the go. She was working on some Christmas stockings when I caught her ironing. See that little brown piece of fabric? 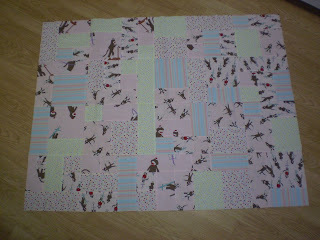 That is her template so she knows how far to fold each piece. 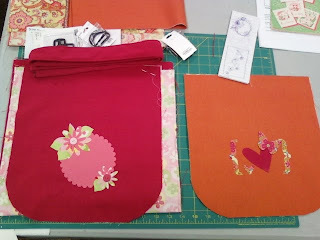 Sarah also did some work on a bag for one of her kids and started cutting out another messenger bag. 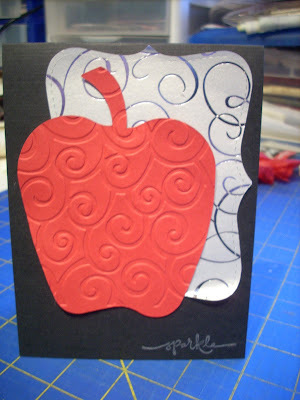 She even squeezed in some stamping and completed a few cards. 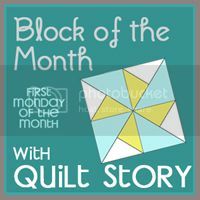 Cindy worked on some knitting that switched to making yo-yos for a cute craft we found in the winter issue of Quilts and More. You can see the little tree here. How cute is that? 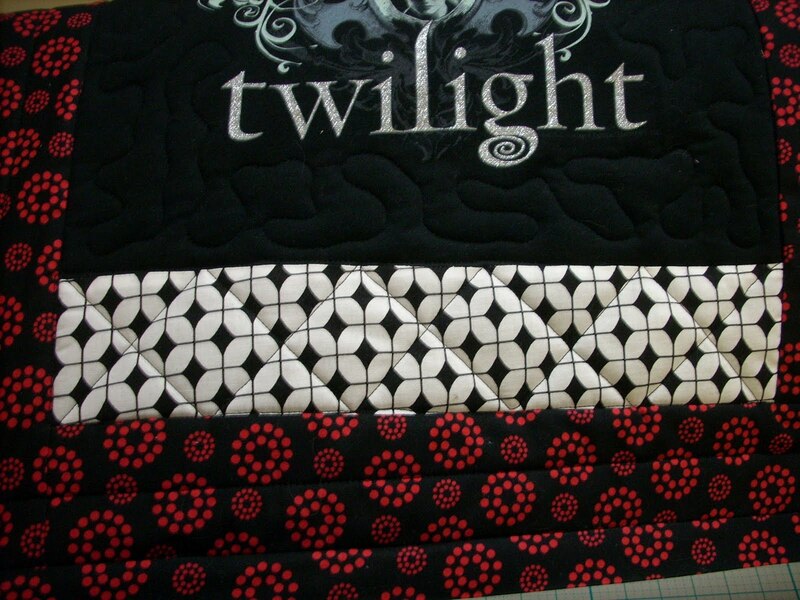 I started working on my Mystery Quilt. I really really want to get this finished; I have way too many UFO's on the go. 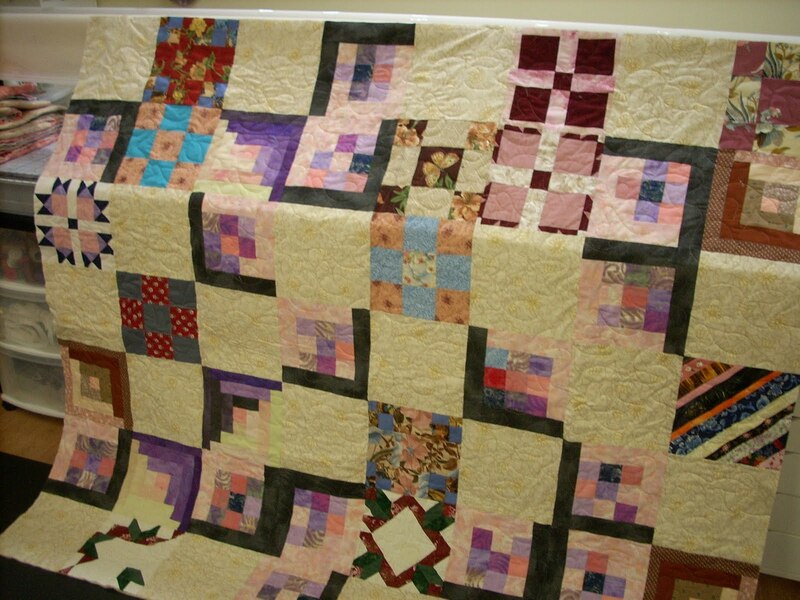 Imagine my surprise when it was time to start packing up, I had only TWO more borders to add to the quilt top!! 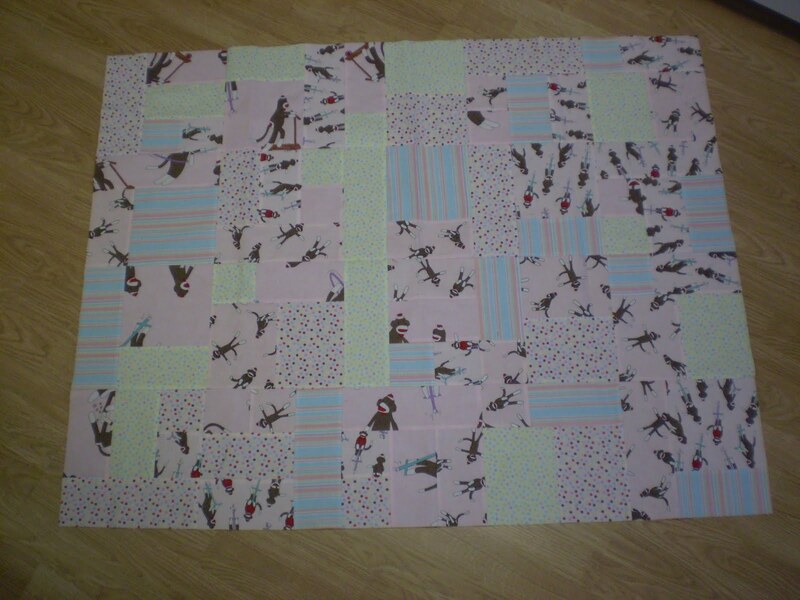 It's narrower than I like so I'm thinking the last border I may increase the width of the last border. The side borders are on in this picture, I just didn't get a chance to iron them before it was time to pack up. 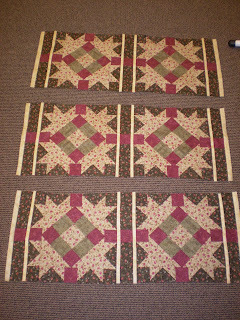 The next border is a pieced flying geese border; it took me 3 hours to complete the 48 geese blocks and sew them into the border strips. Fingers crossed they actually fit lol!! Preheat oven to 350 F. In a large bowl, mix dry ingredients with a fork. Pour in oil and continue mixing until ingredients clump together. 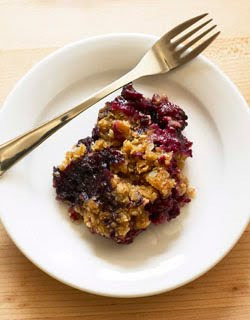 Place berries in a shallow, oven-proof 8-cup dish, cover with crumble and bake 40 minutes, or until top is golden. 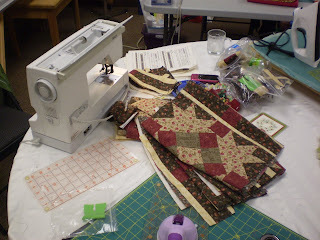 Today I am spending at a 12hour craft/sewing day Cindy's church is having. 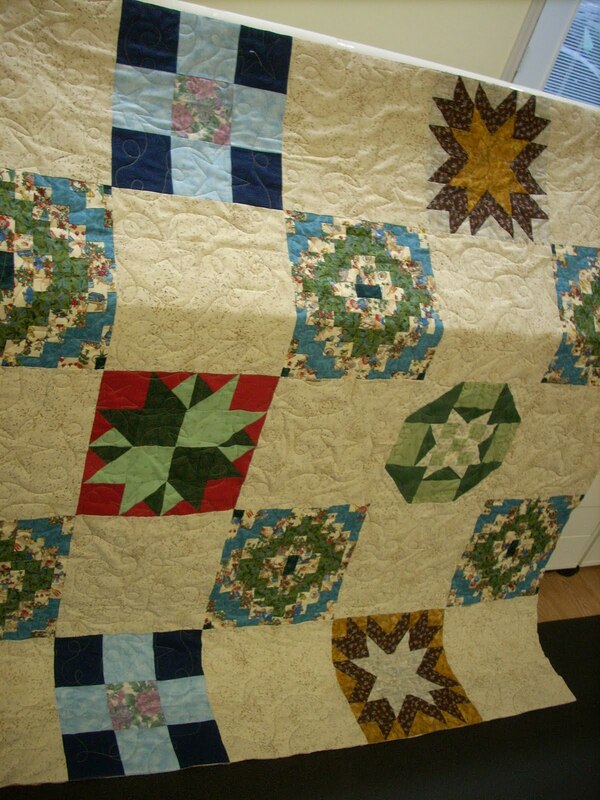 I warmed up last night by completely two quilt tops. Today I have 4 project packed(2 UFOs, and 1 project I started cutting out and have no idea how far I got and even worse, where I stopped cutting and a bag I need to finish). 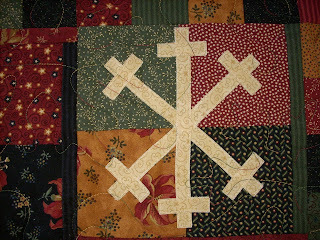 Plus I threw in an embroidery project I've stalled on. 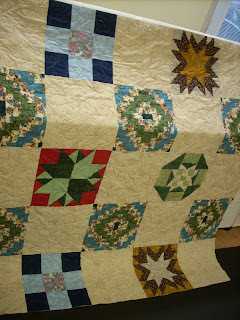 And I am debating about adding a pattern that needs appliquéd; I could trace all my shapes out. Hmmmm, wonder if I have room. 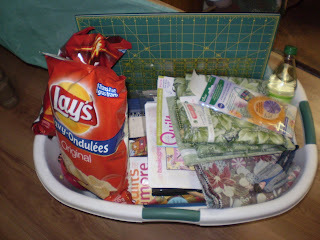 I wonder if I can lift this basket lol! That I have done and haven't shown yet. I hope I don't bore you too much showing them all. This one is one of my favorites. 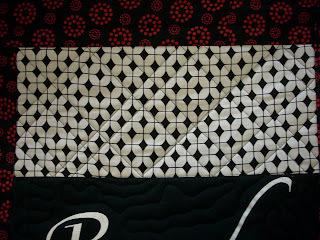 I love this fabric line from Moda and Theresa's piecing is always perfection. 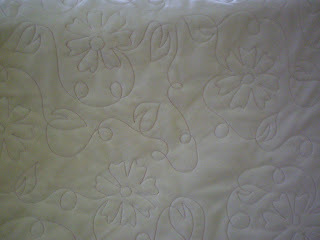 All she asks for for quilting is a pattern with Daisies; the rest is up to us. For this one, she had picked a beautiful yellow Minkee for the backing. 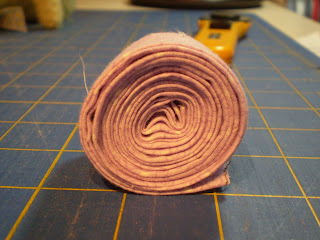 I used a pink Lava thread and it just *popped* on the backing. That I may have shown this card already. 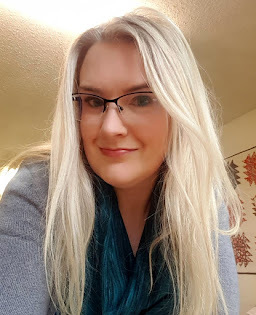 I took a look through some old posts and didn't see it so maybe I haven't. 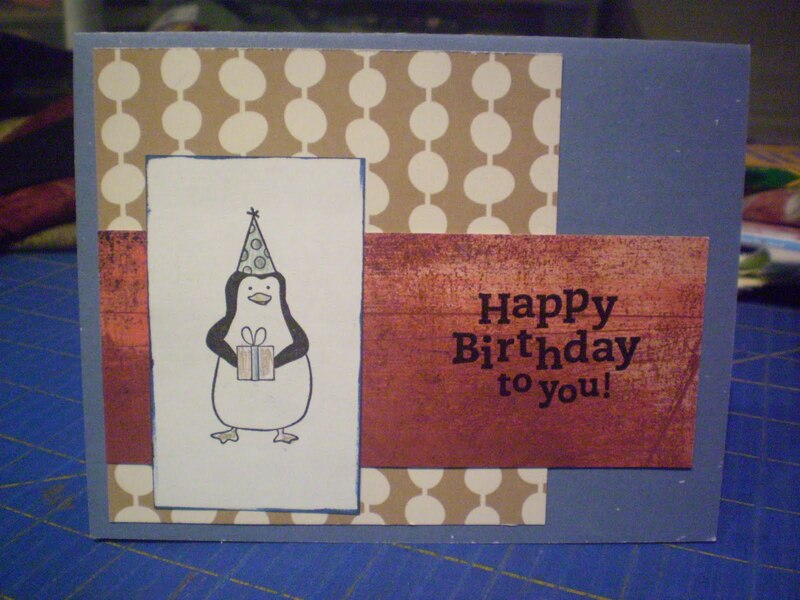 To be honest, I wasn't thrilled with how this card turned out. 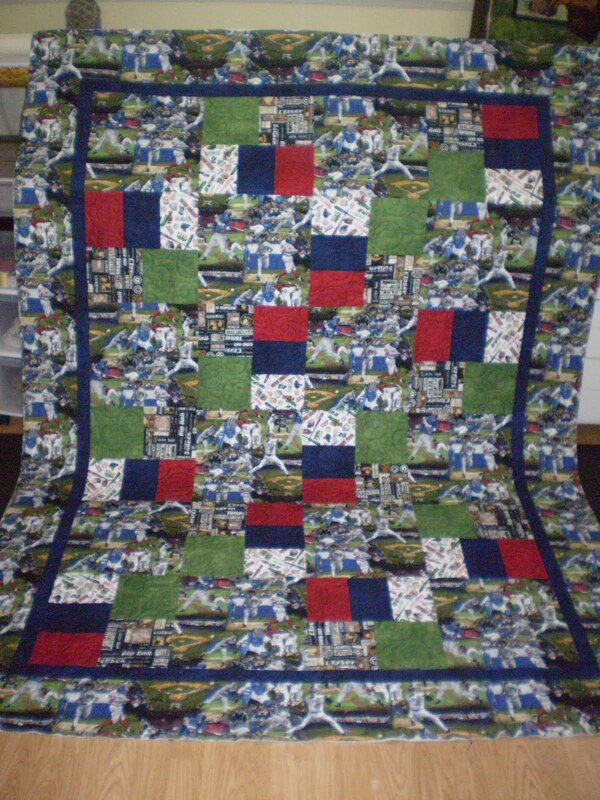 It's not bad, just not what I had thought it would be like when I started making it. Sure love the stamp set though! 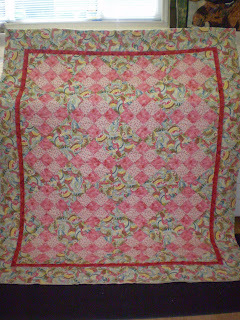 Johanna pieced this quilt for her 3rd daughter. 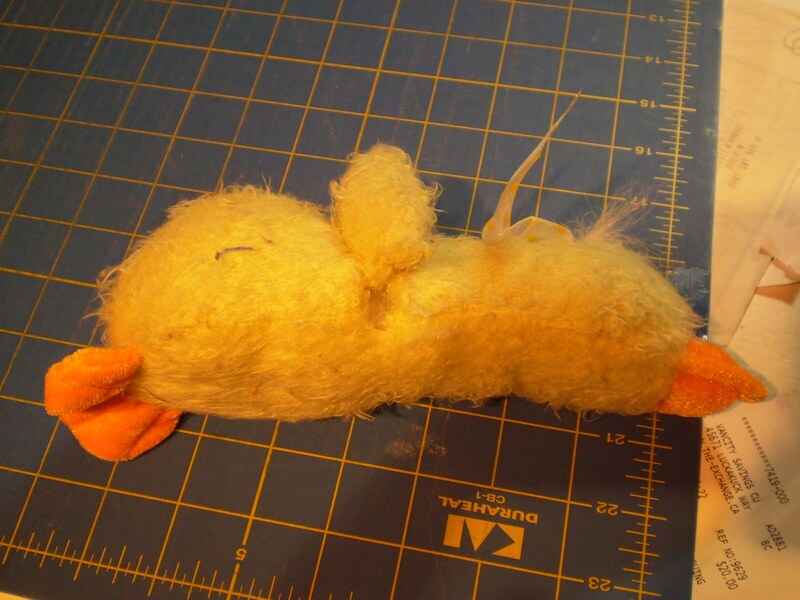 The day it was due, Johanna ended up having open heart surgery so she asked if we would sew the binding on for her. Her 4th daughter came and picked it up earlier this week. 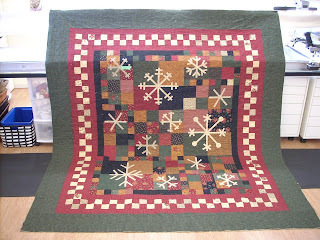 She loved it and said that when her mom is feeling better, she wants this same quilt pattern on her quilt. 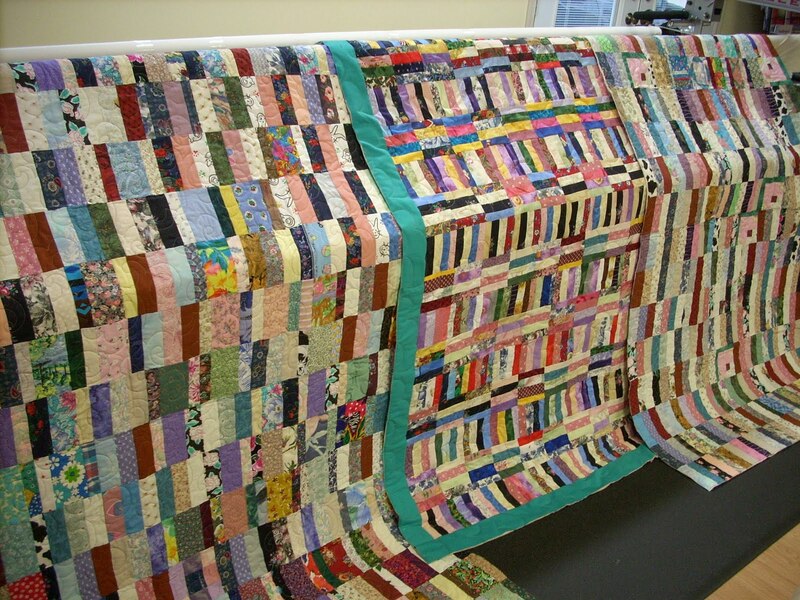 Johanna had made each of her daughters a quilt and Teresa is eagerly awaiting hers. Love how Tendrils quilts up; another current favorite!